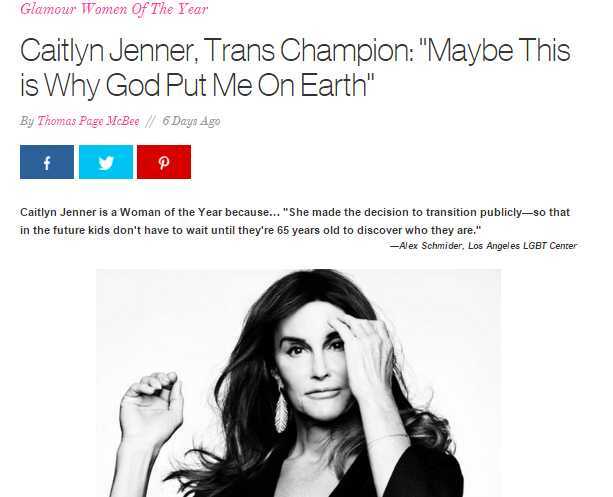 Glamour Magazine has announced that Planned Parenthood President Cecile Richards and former Olympian Bruce Jenner, who goes by the name Caitlyn, are among its named “Women of the Year” for 2015. The magazine posted articles about the two this week, praising them for their impact on society. But some are concerned about those that the world chooses to applaud for their actions.